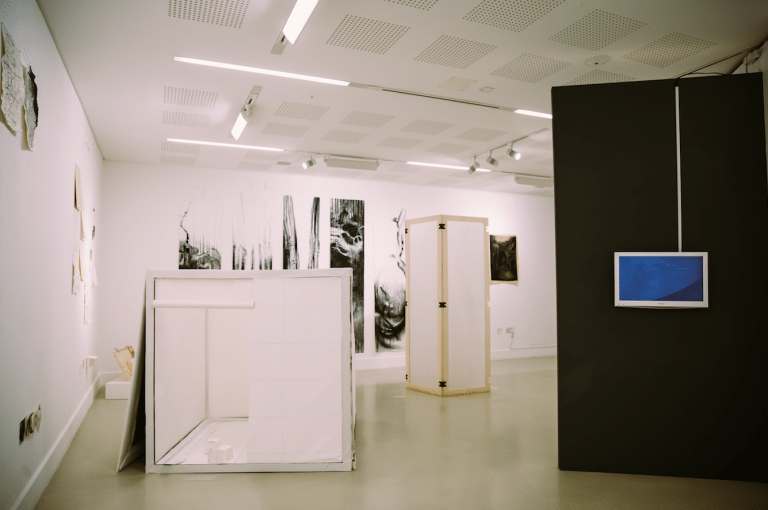 We deliver an exciting and cultivated portfolio of exhibitions, including those that have toured internationally; events; panel discussions; and commissioned projects building upon the creative collaboration between the Arts University Bournemouth and industry. We seek to enhance the cultural capital of the students, staff and alumni whilst providing a public platform for the arts within the region. Our series of text+work publications promote a forum for challenging dialogue between innovative contemporary art, design and media practice, and their theoretical context. text+work is the concept which underpins our exhibition programme, creative events and commissioned projects within the University. The concept furthers the scholarship and research agenda of the University through published texts of research activity. It is a valuable resource for the University and is integrated into its teaching, learning and research outputs. 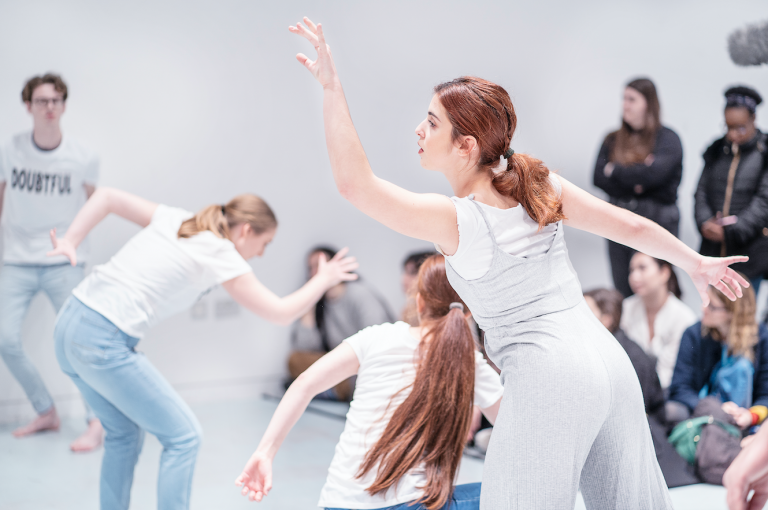 In addition to our permanent spaces, we host a number of projects and events, collaborating with different creative organisations like Bournemouth Symphony Orchestra, Pavilion Dance, The Trinity Buoy Wharf Trust and Bournemouth Arts by the Sea Festival. Our creative projects have included hosting national competitions and exhibitions inside AUB’s CRAB Drawing Studio, and other collaborations with students, staff, alumni and external partners. 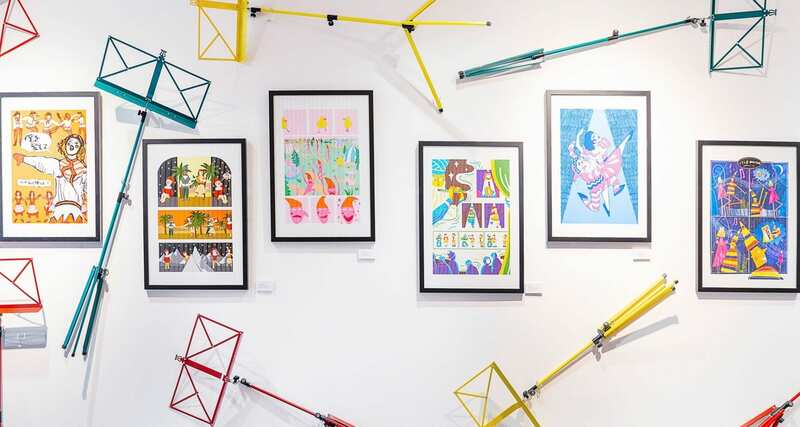 TheGallery integrates into the local community by bringing the arts to Bournemouth via our partnership with WestBeach as a platform to showcase exhibitions and student work. TheGallery was originally established in 1998, with the appointment of a part-time Exhibitions Officer under the management of The School of Art. TheGallery was then reopened in 2003 under the concept of text+work, as created by TheGallery Committee. Its first exhibition presented under the concept of text+work was Four Quartet Series by Ian McKeever and David Miller. 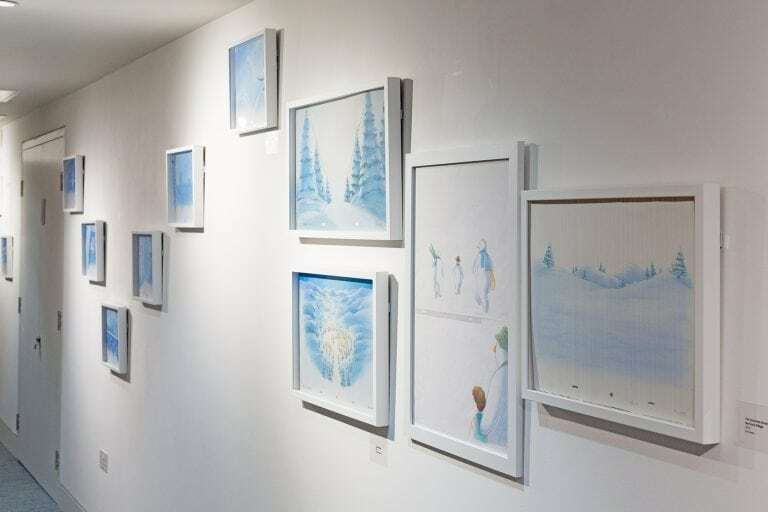 It has since hosted around 96 major exhibitions (November 2003 – February 2019), including three Suddenly Last Summer exhibitions, a curated version of the Univesity’s summer shows. Since October 2008, TheGallery has added Music to its repertoire of exhibitions, including the Goldberg Variations performed by David Wright; From Experimentalism to Minimalism performed by Kokoro; and The Firebird, Diaghilev and the Ballets Russes in collaboration with the Bournemouth Symphony Orchestra. A collaboration with ArtSway, a contemporary art gallery in the New Forest, resulted in a presence from text+work at the international art exhibition, the Venice Biennale (2007 and 2009. text+work hosted the seminar Word Matters, which explored the relationship between the written word and contemporary art. 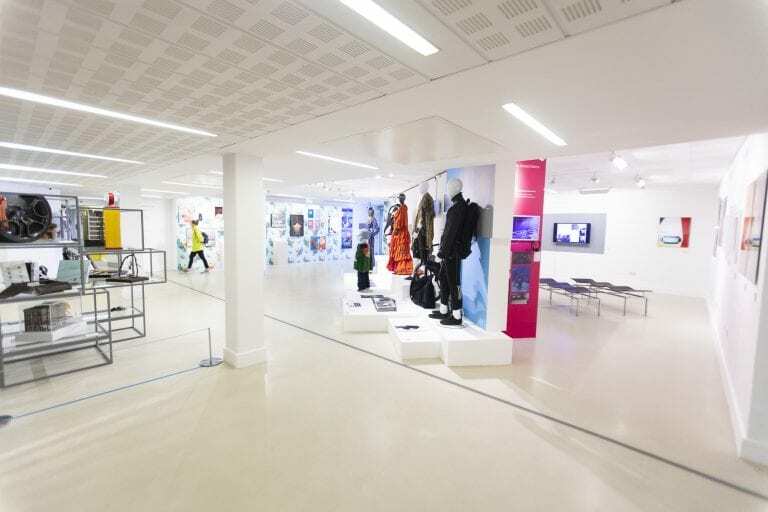 In 2007, TheGallery worked in partnership with the Russell-Cotes Art Gallery and Museum, Bournemouth, on the exhibition Meeting Place: Contemporary Art and the Museum. Sir Mark Jones, FRSE, reopened TheGallery on the 3 December 2010 during the Crab by the Sea exhibition by Sir Peter Cook. Sir Mark Jones is an art historian, numismatist and museum director. He has been director of the National Museums of Scotland (1992-2001), director of the V&A (2001-2011) and he is currently Master of Saint Cross College, Oxford. In 2010, he was awarded a knighthood for services to the arts. On 11 October 2018, we celebrated the achievements of TheGallery and looked back on the last 20 years with a special event for all staff and students at AUB, alumni, and visitors. The Sir Misha Black Awards Committee presented the 2016 Award for Innovation in Design Education to AUB for its innovative approach to design teaching. AUB received special recognition for TheGallery and for commissioning the first purpose-built Drawing Studio in the UK for over 100 years. If you would like to receive regular updates about forthcoming exhibitions and events at TheGallery, please sign up to our e-newsletter. Please also contact us at thegallery@aub.ac.uk if you would like to sign up to our mailing list to regularly receive our exhibition programmes in the post. If you would like to make a donation to TheGallery to support our exhibitions, events and publications, please contact the Senior Gallery Officer, Violet McClean at vmcclean@aub.ac.uk to find out more.